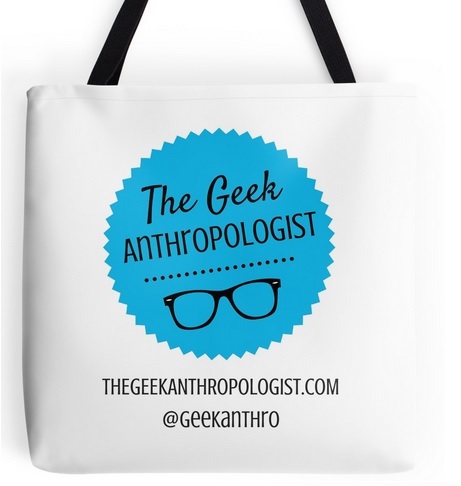 Data and the Anthropologist: Could you be using your anthropology skills in a more data centric role? Freaks & Geeks: A Cultural History of the Term "Geek"
How does the overall environment of gaming influence our experience of imaginary worlds? In this Spot Check I think about my experiences gaming in Denton, TX, and how the colors, music, and words combined with the performance of the Dungeon Master to shape the imaginative experience. Anthropologically, you could talk about the holistic approach, but I also really like thinking about it as “terroir,” a term that usually applies to wine but that Jeff Vandermeer explores in an expanded sense in his novel Control (which will probably be the subject of my next weekly geek-out. In which I pronounce Jason Azze’s name correctly, worry about “first contact” with old school gamers, and describe my first encounter with Gary Con, which has become an important site for my fieldwork. In this episode I talk about the role of conventions in gaming culture, the role of play in gamers’ lives (and deaths), and how Gary Con fits in to that. In this episode of Spot Check I talk about how the Old School Renaissance in tabletop gaming has helped to reconstruct older assumptions about gaming, and how those assumptions change our experiences of play and expand our ideas about narrative. Nazis, HP Lovecraft, and the dangers of storytelling. Also starring my hat. In this installment of Spot Check Flashbacks we’re going back to the beginning. This is the first episode of the series, recorded when my Kickstarter was in full swing. If you want to skip past the section about the Kickstarter, set a course for 1:50, where you’ll here me talk about the ways that we narrativize our everyday lives and how stories help us with that. As promised, here is the most recent episode of Spot Check, the video series documenting my dissertation research into tabletop gaming. New episodes will be posted every Thursday. If you’d like to start at the beginning, you can go directly to the Youtube channel, or catch the archived episodes as they go up every Saturday. In this episode I talk about insider anthropology and gamers’ enthusiasm for bringing new people into the hobby.